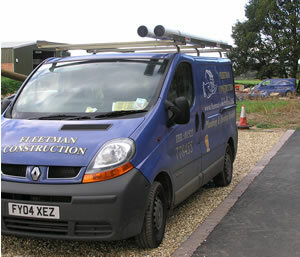 Fleetman Construction - Plumbing & Heating Division - Plumbers In the Newark and Lincoln Area. Telephone Lincoln (01522) 778455. Fleetman Construction Plumbing & Heating Division Specialise in new plumbing and heating installations in the Newark & Lincoln areas. We are registered with both CORGI and OFTEC and offer free advice and quotations on all plumbing and heating installations including underfloor heating. Our plumbing division offers free quotations, planning and advice to the Public, Architects & Builders in the Lincoln and Newark Area. Our plumbers can give advice & quotations on all modern installations including the following. Pressurised Hot water Cylinders - creating hot water pressure of 3 bar for power showers, spas etc. Underfloor heating - including design, supply and installation by our specialised plumbing team. Pressurised central heating systems using highly efficient condensing boilers. Our plumbers offer Boiler Commissioning and servicing. LPG Installations - including ovens & Hobs. 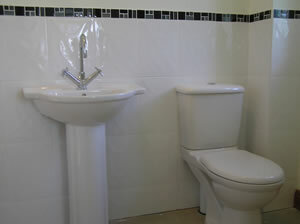 New Bathroom installations by our own Plumbers including help to design your new bathroom. Let our plumbers install your new bathroom suite. 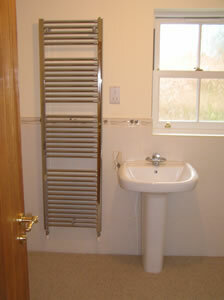 Free quotes for all central heating systems including towel rails. 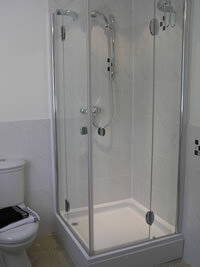 Our plumbers can supply and fit your new power shower. 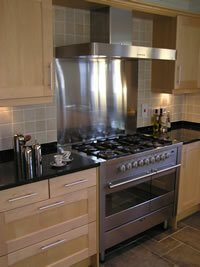 Fleetman construction plumbers can fit LPG systems including LPG cookers & hobs. This is a Kitchen and Sun room with underfloor heating installed by our plumbers. 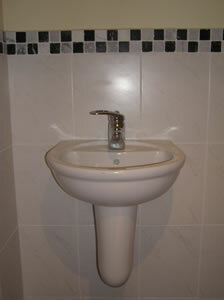 We can also give you a quotation for your ceramic wall tiling. One of the plumbers vans that cover the Lincoln & Newark area. 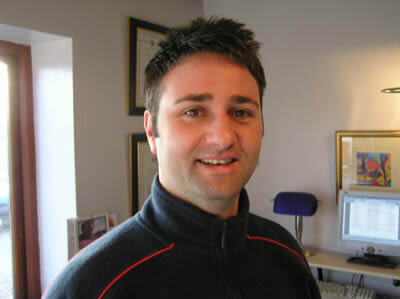 For further information or a free quotation in the Lincoln or Newark areas on Oil fired central heating systems, oil fired boiler commissioning, Lpg installations, underfloor heating, pressurised hot water systems, Corgi registered plumbers in Lincoln & Newark, Oftec registered plumbers in Lincoln & Newark,please contact Nathan Miller at our main office. Lincoln 01522 778455. 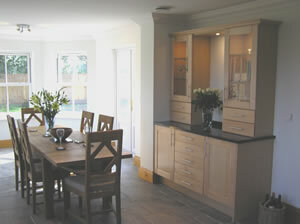 Other services include kitchen and bathroom remodelling by our joiners & plumbers. We install air conditioning in Lincoln and Newark, Bathroom and kitchen installers, boiler commissioning & servicing, new bathrooms,underfloor heating specialists, .